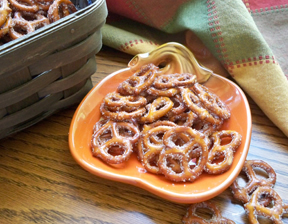 These little bites of pretzels are different from the popular ranch-flavored pretzels. 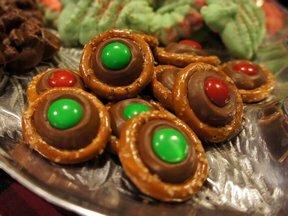 They are coated with just the right combination of cinnamon and sugar, which goes well with the saltiness of the pretzels. 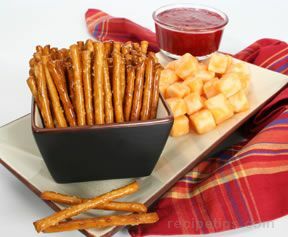 Try these at your next get-together with your friends and I bet they will all be reaching for more. In large roasting pan, stir together oil, sugar and cinnamon. Add the pretzels; toss to coat well. Bake at 300° for 30 minutes, stirring twice. 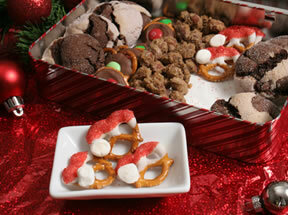 Note: These pretzels can be stored in an air-tight container for a couple of weeks so they can be made in advance. "Loved these! We eat a lot of pretzels around our house but these were an extra special treat. My kids are already asking me to make them again."